2 What Is Transitional Housing? Benefits for children of veterans vary according to individual circumstance. Health insurance programs, educational and survivor benefits, often depend on the status of the veteran. The dependent must apply for these benefits and supply proper documentation to receive compensation. Documents can include proof of the discharge of the parent from the military, disability, residence and identity. “According to the Department of Veterans Affairs, the child or dependant of any veteran suffering from a service connected disability likely to result in discharge or a veteran becoming deceased from such a disability has entitlement to educational assistance. (Reference 1)” This also applies in the event of death while disabled, regardless of the cause of death. Stipulations require that the disability must have occurred from active duty in one of the branches of the military. Eligibility criteria depend on the age of the applicant and educational training. Age limits range between 18 and 26 with exception to dependents actively serving the armed forces and in cases of disability. These applicants may receive an extension of benefits until the age of 31. VA limits assistance to only approved learning programs at vocational schools, colleges, universities and may cover on-the-job training. Duration of payment lasts for up to 45 months. (Reference 1) Tuition programs can consist of monthly monetary payments to the student or a tuition fee waiver in the state of residence, sometimes both. Benefits for children of veterans include health insurance. Health insurance programs for dependents include CHAMPVA and TRICARE. 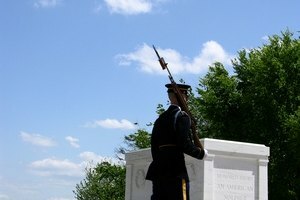 CHAMPVA limitations consist of service connected disability and/or death of the veteran during active duty. TRICARE insurance plans cover civilian children of the veteran not deceased. (Reference 3) Limitations and restrictions depend on the age of the child, disability status and school enrollment status. Angela Marcum has been freelance writing since 2009. She has published health care articles for various websites and is attending Maysville Community College to pursue an associate degree in nursing. Since 2008 Marcum has been employed at a regional hospital as an advanced-nursing assistant.